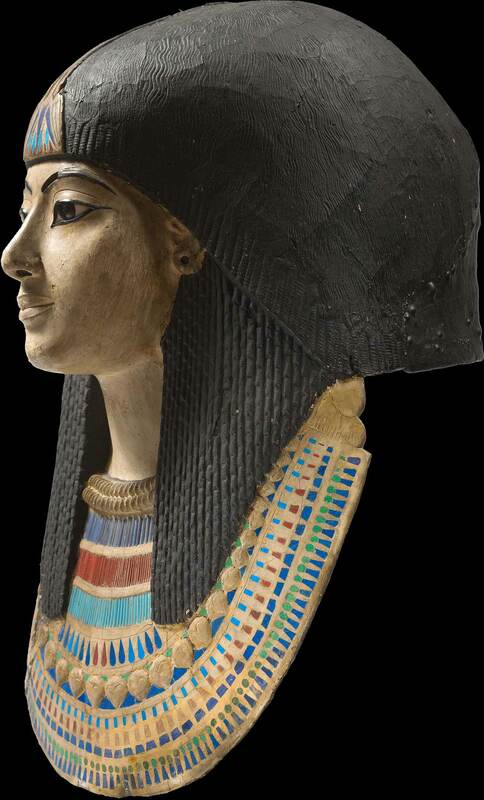 The first masks covering a mummy’s head and shoulders date from the Middle Kingdom. 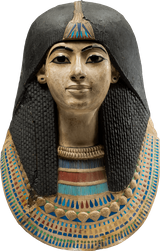 They were probably used as a substitute of the dead person’s head, representing the senses that were vital for one’s existence in the afterlife. 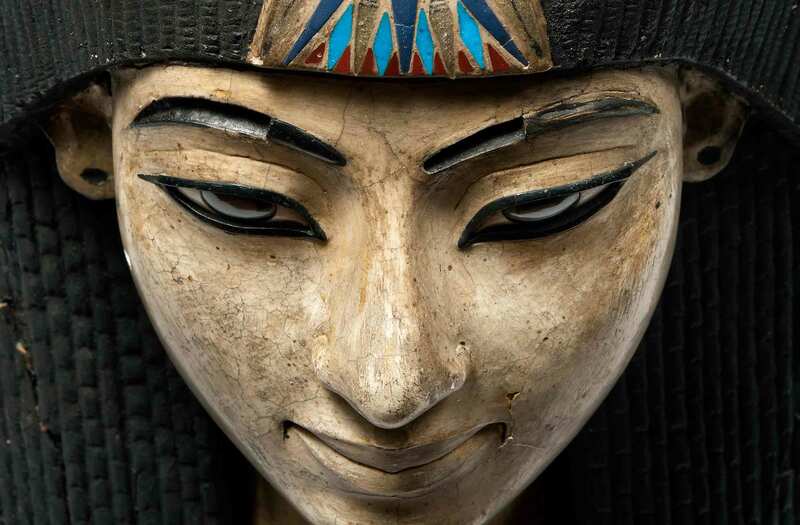 This stunning death mask belonged to a high-ranking official at the end of the 18th dynasty. It has a perfectly oval and idealised young face. The large, slanted eyes have a very intense gaze. 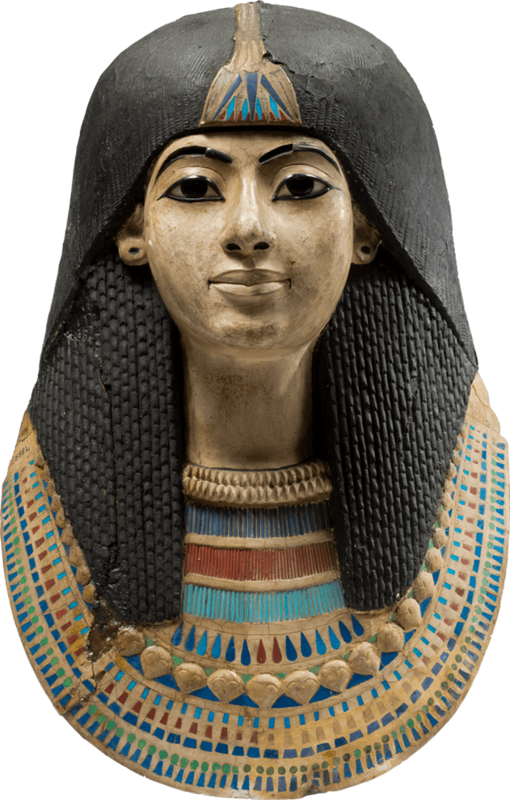 The mouth corners and nostrils have been magically opened by the black paint, allowing the dead person to breathe and eat in the afterlife. 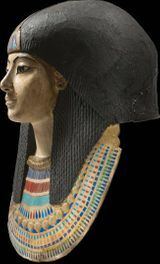 The two rows of rings at the top of the collar are part of what the ancient Egyptians used to call ‘ceremonial gold’, a series of precious objects that were presented to deserving officials. 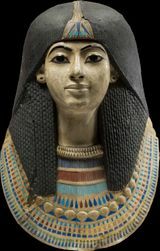 Many officials from the end of the 18th dynasty, including Maya, the treasurer of Tutankhamun, were rewarded in this way. Come see this object with your own eyes in our Egypt collection.